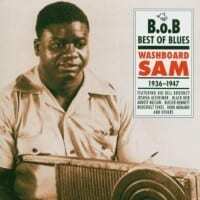 The Best of Blues label celebrated the year 2000 with a Washboard Sam collection containing 21 of his best performances recorded between 1936 and 1947, a span of years that takes in much of his recording career. The selections are divided equally, for the most part, between Sam's two preferred tempos: the slow purposeful ambling gait and the upbeat rocking shuffle that can make your feet start patting the floor before you even realize that you're doing it. This is an excellent way to find out about Washboard Sam, or to enjoy a well-chosen overview of his works even if you're already hip to him. 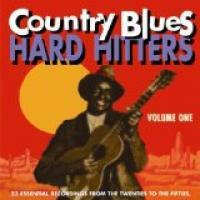 Washboard Sam was born with the name Robert Brown in Walnut Ridge, AR, in 1910. He worked his way north, hit Chicago in the early '30s, and made his first records for the Vocalion label under the name of Ham Gravy in 1935. Although he was a tireless virtuoso washboard operator, it was Sam's powerful voice and a knack for coming up with songs that everybody could relate to that created a growing demand for his records. Almost invariably accompanied on the guitar by his friend Big Bill Broonzy, Washboard Sam soon established himself as a primary blues recording artist for the Bluebird label, switched over to Victor in 1947, and stopped recording for the most part in 1949. After becoming a Chicago policeman (a job for which he seems to have been suited both physically and temperamentally), Robert Brown changed back into Washboard Sam in 1953 for long enough to record with Broonzy and Memphis Slim. His final comeback during the 1960s ended with his death from heart failure in November 1966 at the age of 56. This little taste of Sam's special kind of music has a supporting cast of instrumentalists including Herb Morand, trumpeter for the Harlem Hamfats; ubiquitous Chicago session clarinetist Arnett Nelson; saxophonists Buster Bennett and J.T. Brown; pianists Roosevelt Sykes, Memphis Slim, and Black Bob Hudson; and bassists Ransom Knowling and Willie Dixon. The woman whose vocal interjections are heard on "Ain't You Coming Out Tonight" has been identified as Josephine Kyles. 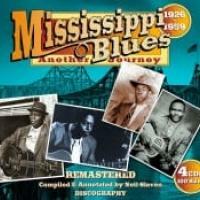 This useful and entertaining Washboard Sam collection may be supplemented with Document's seven-volume series containing more than 160 examples of his unforgettably honest and passionate blues.